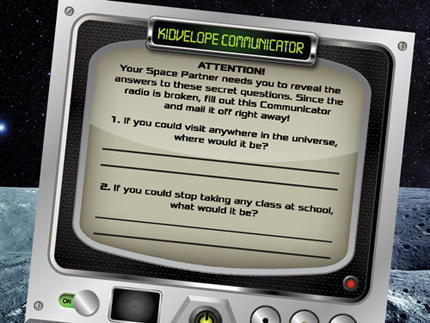 FIRST KIDVELOPE MISSION: SPACE RESCUE! 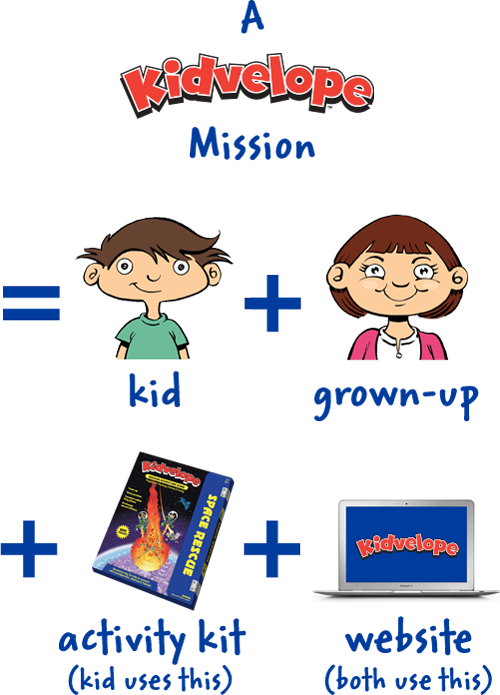 On each mission, kids team up with faraway family member to solve challenges & complete mission -- through hands-on creative activities, online interactions, back/forth mail & phone calls. 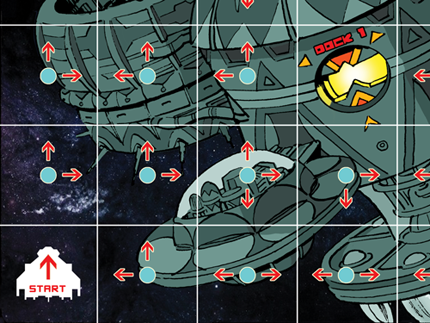 Kids start the mission using the gameboard & items from the kit. Activities are fun, mentally stimulating, & promote creative thinking. 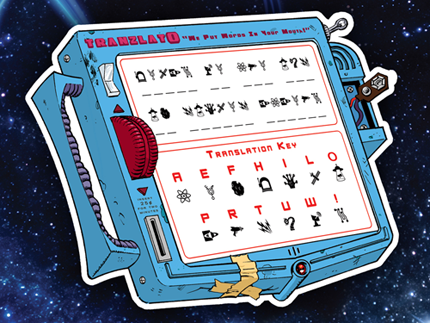 Includes puzzles, art, code-breaking, secret messages, disguises & more. 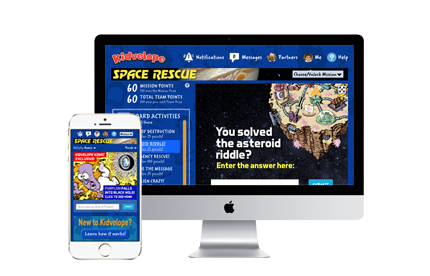 Kids enter their answers online, score points, and unlock reward activities that partners play together. Communication required! 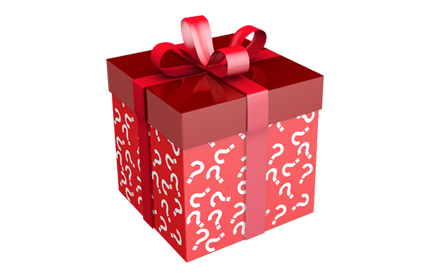 KIDS WIN PRIZES AS MORE POINTS ACCUMULATE! When a team scores a certain number of points in each mission, Kidvelope sends the kid a cool prize by mail! Check Out Our Awesome Space Rescue Activities: A mix of offline hands-on inventing, creating and problem-solving by kids plus online sharing and communicating by both partners. 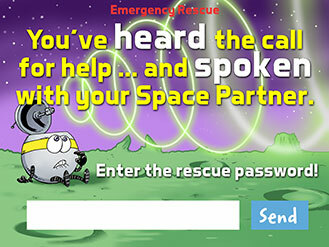 Kids call an 800 number to hear a story and then call their partner to get the critical rescue password! 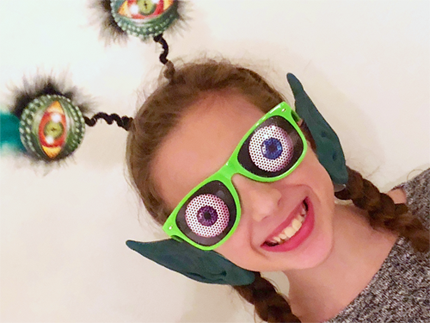 Kids go undercover in their alien disguise, take a selfie, and share it with their partner. Kids and grown-ups share secret information by mail back and forth! Envelopes provided. 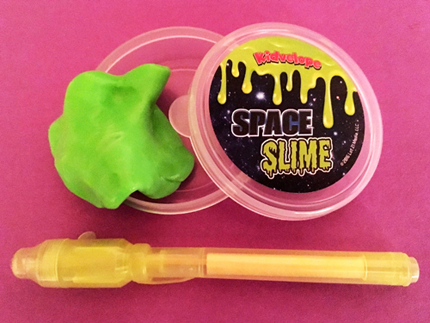 Kids write a secret message in ultraviolet ink on glow-in-the-dark Space Slime, and send a photo of it to their partner! 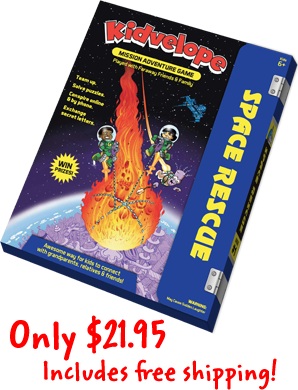 Code cracking silly mischevious dispatches from aliens helps kids with problem-solving! Opportunities for artistic expression give kids the chance to share their creations with their partners. 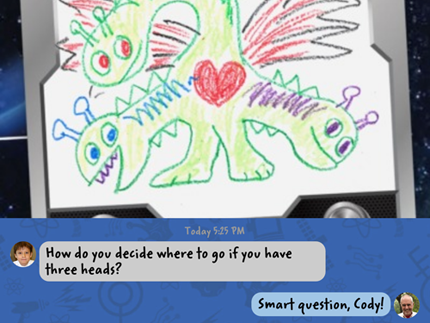 Kids and their partners bond by playing online games in which they exchange fun facts about each other. 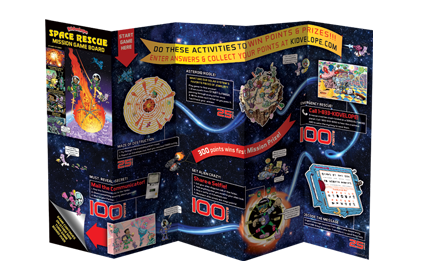 Fun and challenging space themed games provide kids with inventive twists on intellectually stimulating activities and puzzles.